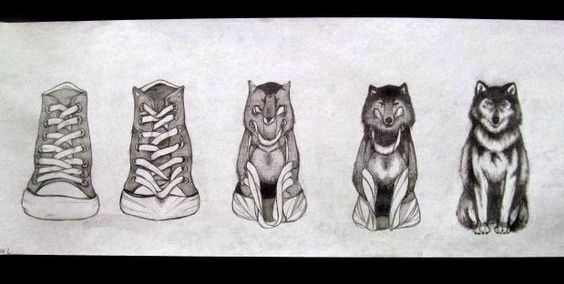 This is a page from Michelle Casper's sketchbook. Michelle graduated from Carson a few years ago and went to college in Greensboro for art. 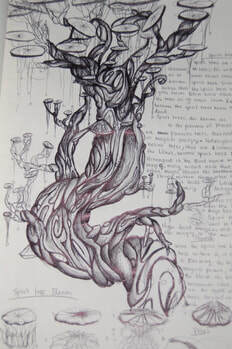 She created an imaginary world in her sketchbook complete with images and written descriptions. 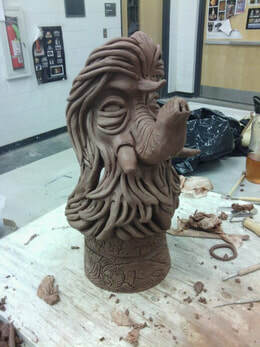 The second photo is a clay piece she worked on in college. You can see the connection between her early drawing and an imaginary creature. 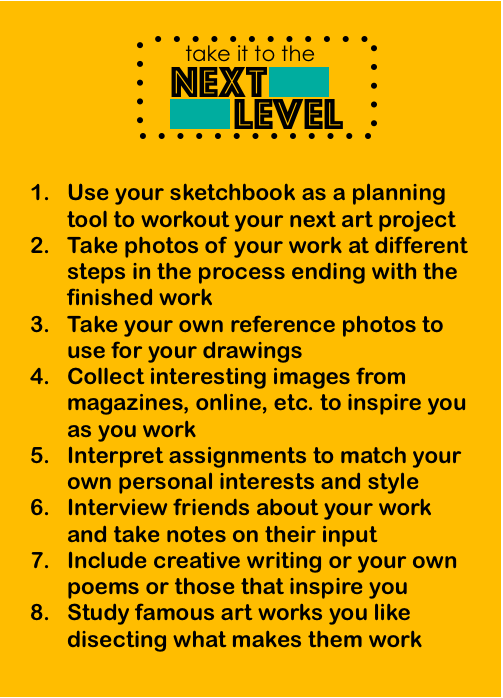 The sketchbook will be completed using a variety of mediums. Becarful with liquids since too much water can cause paper to rip or disintegrate. Complete 2 quality pages each week. Pages should be filled completely. things you can do to up your game. Your sketchbook doesn’t need to be overly neat, but care should be taken to protect work from smudges, etc. No work should be drawn from another persons artwork. Use photos, your imagination, and real life objects when possible. ​Create a grid of 5 - 1" or 2" boxes (25 boxes). Put your name in the top left corner box. Top horizontal row - 4 line designs. Left side vertical row - 4 shape designs. Mix the designs together in interesting ways. ​Choose an object to draw that has curves. 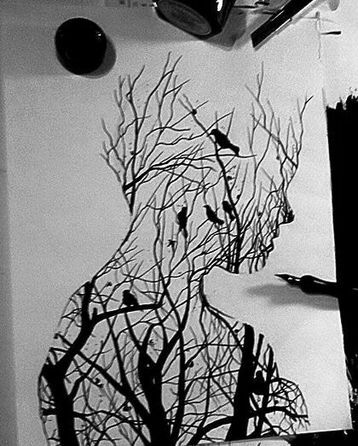 Use words to create the shading. To create darker areas - overlap words, thicken lines of letters, etc. Lighter areas - use thin lines and spread letter out. Trace or draw the outlines of a figure in profile. Fill the shape in with something interesting! 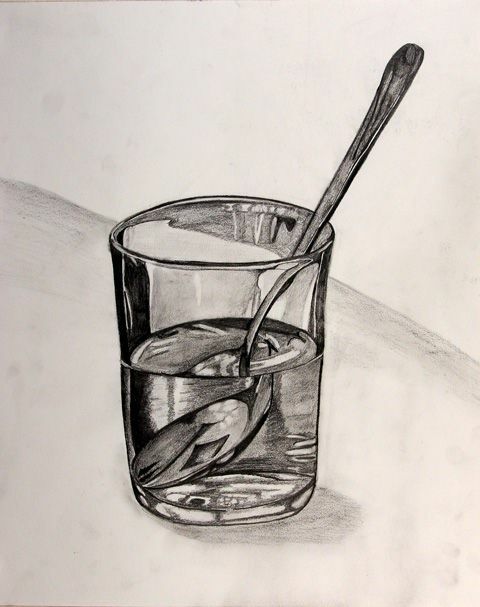 ​Draw an object in water. 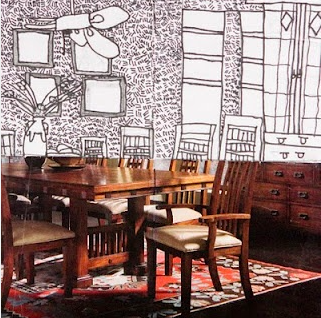 ​Make a collage background then draw objects on top of it. 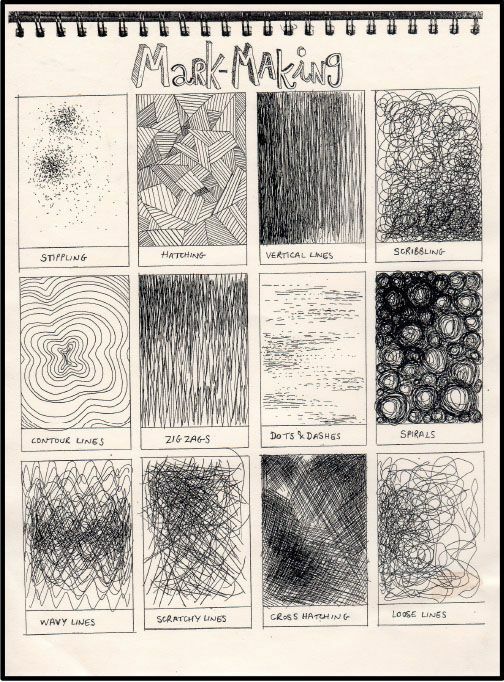 Choose a different drawing medium for each different surface. Place shadows under your objects. 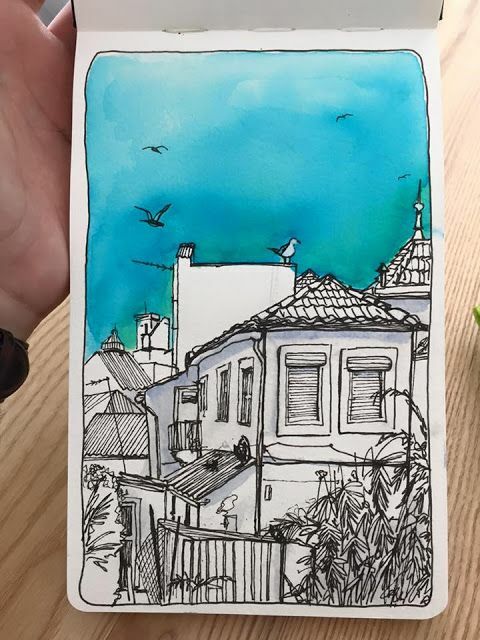 ​Draw a landscape or architecture and do something different in the background like watercolor or stippling (dots!). ​Create a study of one small object by repeating it on one page. Text can be included in this study. 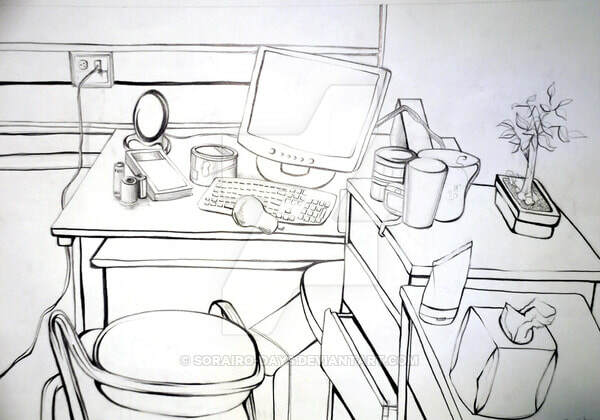 ​Create a contour drawing of one area of the room. Try using accent line (calligraphic line) that varies in thickness. 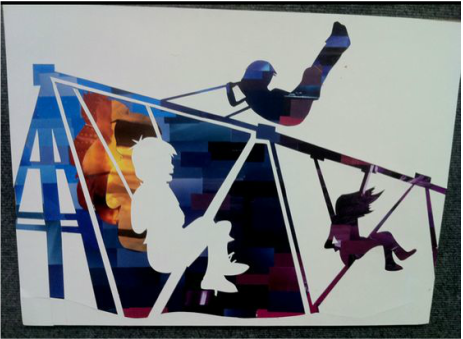 ​Create a Positive-Negative space collage using a page from a magazine. Hands! 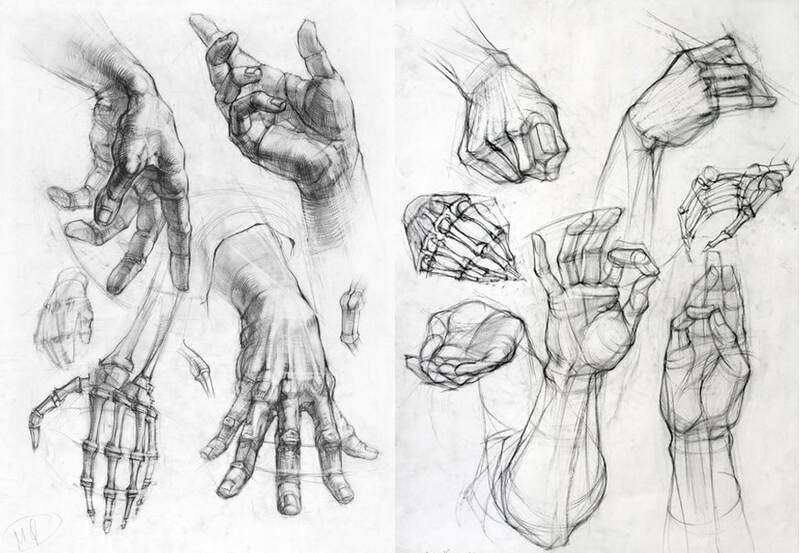 Draw more than one hand on a page. Draw the same object three times from three different angles. Combine watercolor with a drawing. 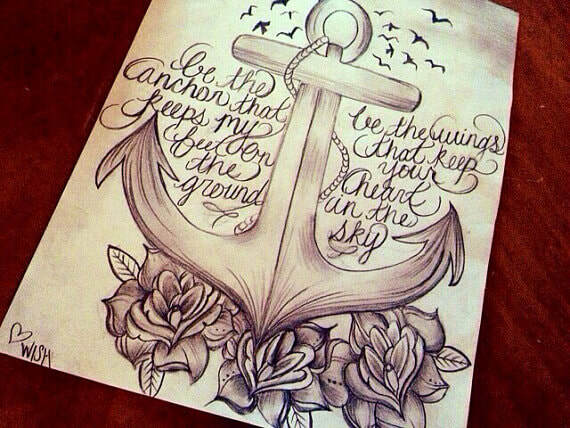 You can draw in sharpie first and watercolor on top or around. You can also watercolor first then draw on top of the dried watercolor with any dry medium (charcoal, pen, pencil, colored pencils, etc.). 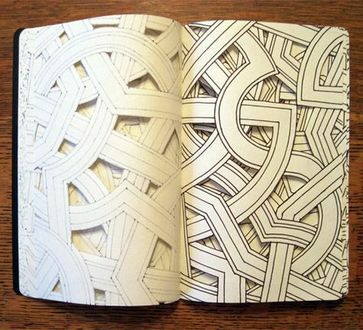 Dedicate one page in your sketchbook to one artist of your choosing. 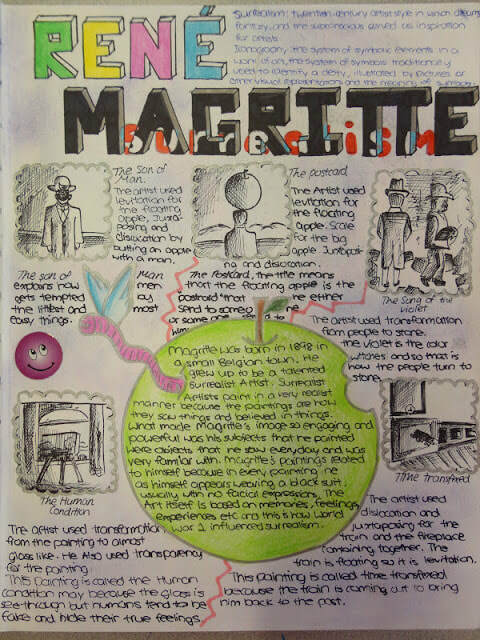 Include their name, examples of their work (drawn or collaged) and notes about them. ​Draw a tube of paint spewing out something other than paint. Write what is coming out onto the tube of paint. METAMORPHOSIS in art refers to a form transforming or changing into another form that is similar. The gradual transformation between the two forms should be depicted. 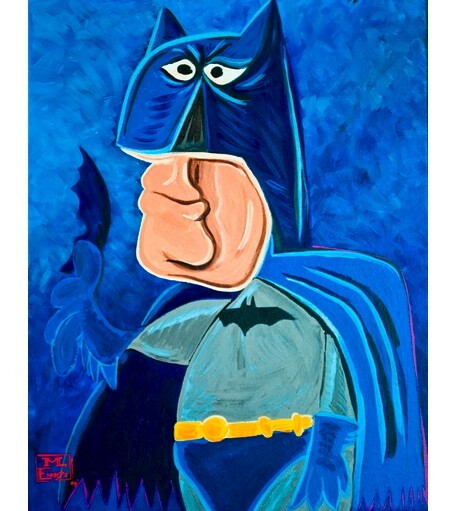 ﻿Draw a superhero inspired by Picasso & Cubism...this must include "multiple perspectives" and a background. ​Illustrating a quote. Be sure to include the quote somewhere in your design and try to write the author of the quote. ​What "idea" would you put in a light bulb? 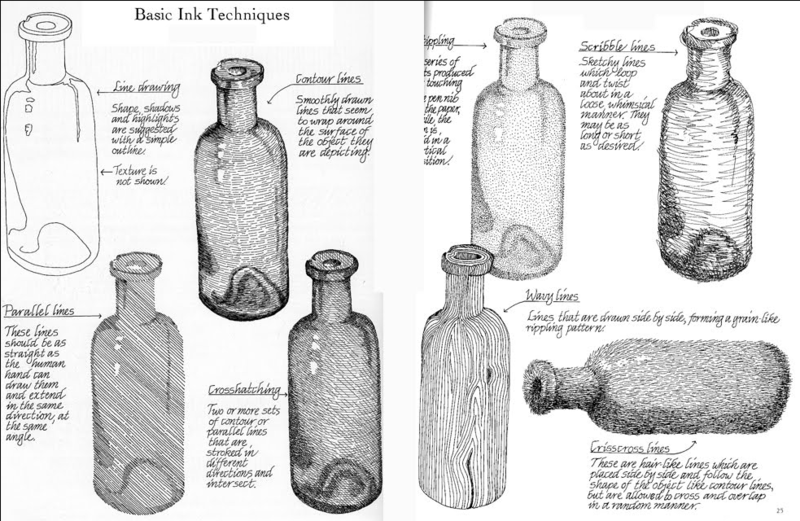 You can use pen or pencil but must shade with graphite or if using a pen- stippling, cross-hatching, etc. Glue a photo or magazine picture into your sketchbook. Extend the photo out by drawing the rest. 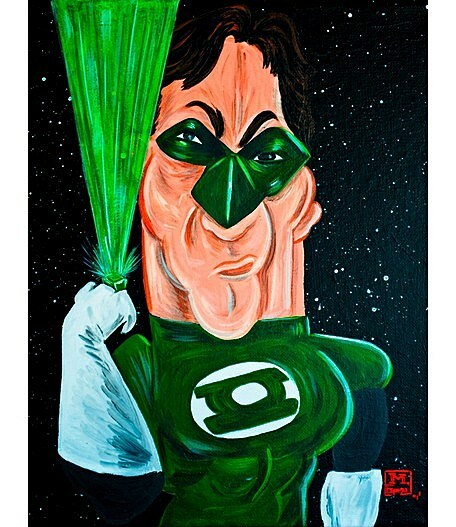 You can draw it realistically or illustrate it cartoon-like.